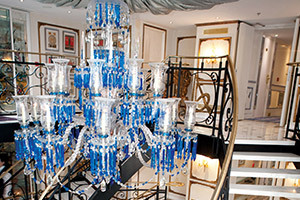 Launching in 2015, S.S. Antoinette, (the S.S. stands for "Super Ship") is the one of the first ships custom built and designed for Uniworld cruises. The attention to detail is clearly seen, from the elegant staterooms to the custom technology for river cruising. Named and designed after "Queen Marie Antoinette of France", the 18th century theme is abundantly obvious as you walk along the corridors and rooms of S.S. Antoinette. The highlight on any river cruise is the river itself. The river in this case is the legendary Rhine river which cuts a trail from the Swiss Alps in the South to the coast of Netherlands in the north. There is much history surrounding this river, from Roman rule in the early AD period to Allied and Axis battle of World War II, making this itinerary exciting for history buffs. Don't fear if history is not your forte, from shopping to art exhibits there is a whole slew of stuff to see along the Rhine. Just because the river is so great does not mean you will not enjoy your time on the ship. S.S. Antoinette does not disappoint when it comes to luxurious amenities. Handcrafted Savior of England beds with 100% Egyptian cotton linens coax you to sleep every night. When you wake up enjoy L'Occitane en Provence bath products in every stateroom along with plush towels, towel warmers, and cozy bathrobes. Your experience continues with your meals. S.S. Antoinette selects the finest and freshest ingredients from every stop along the Rhine River to truly immerse you in the local lands. Also enjoy complimentary wines and beers during all of your meals. One of the most exciting highlights of any river cruise are the shore excursions and S.S. Antoinette does not disappoint. At every port of call along your river trip you will enjoy a guided tour of that town or city. Additionally some stops may include a bus tour that will take you to magnificent views or towering castles. Feeling independent? Then take complimentary bikes out around town and create your own shore excursions. 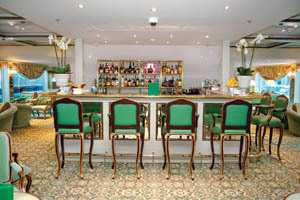 S.S. Antoinette provides its travelers with some of the best in local cuisines. Enjoy complimentary beers and wines with your cruise. Even take advantage of unique local wine and food pairings that will envelope you with local culture. From German sausage to the sweetest Rieslings, your taste buds will be traveling right along with you. 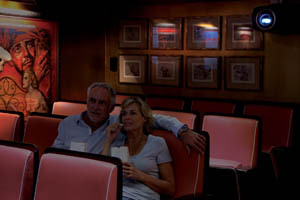 Just because you are on a river cruise does not mean you have to miss out on all of the special features of larger ocean liners. 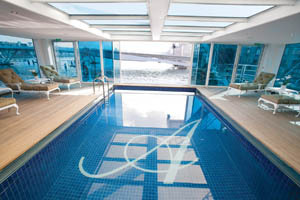 Unique to river cruising, S.S. Antoinette features both a pool and a cinema onboard. Take a dip in the pool to sooth your legs after a long day of touring or cuddle up with your traveling partner and enjoy a classic movie in the cinema, complete with complimentary popcorn! Low Price Guarantee on all S.S. Antoinette Cruises! Book any S.S. Antoinette river cruise with us and you'll get the best deal possible, regardless of the ship or sail date! 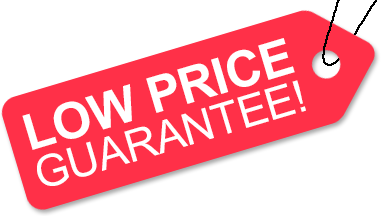 Because of our "Low Price Guarantee," nobody beats our S.S. Antoinette cruise prices, so look around and you're sure to find the best S.S. Antoinette cruise deal possible when booking with us! We do not charge booking fees on any cruises! You're sure to enjoy an affordable S.S. Antoinette cruise when booking with us! Our special offers on S.S. Antoinette cruises may not be combinable. Certain restrictions apply to each offer. Click a price below to view the S.S. Antoinette cruises during that month in that destination. 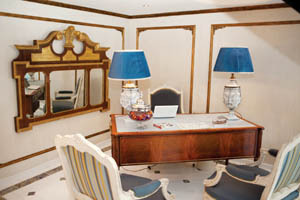 There is 1 Royal Suite stateroom on board S.S. Antoinette. This accommodation can fit up to 3 guests. The Royal Suite includes all amenities listed above. There are 5 Suite staterooms on board S.S. Antoinette. These accommodations can fit up to 3 guests. The Suite includes all amenities listed above. There are 24 Category 1 staterooms on board S.S. Antoinette. These accommodations can fit up to 2 guests. Category 1 cabins include all amenities listed above. 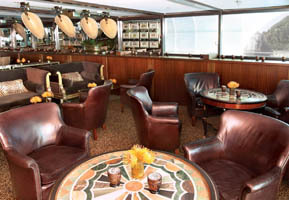 There are 29 Category 2 staterooms on board S.S. Antoinette. These accommodations can fit up to 2 guests. Category 2 cabins include all amenities listed above. There are 7 Category 3 stateroom on board S.S. Antoinette. These accommodations can fit up to 2 guests. Category 3 cabins include all amenities listed above. There are 6 Category 4 staterooms on board S.S. Antoinette. These accommodations can fit up to 2 guests. Category 4 cabins include all amenities listed above. There are 5 Category 5 staterooms on board S.S Antoinette. These accommodations can fit up to 2 guests. Category 4 cabins include all amenities listed above. The deck plans of S.S. Antoinette provided on this page are subject to change. We reserve the right to correct errors. Please verify all information with Uniworld directly.